Part of our ever expanding “Time” series. 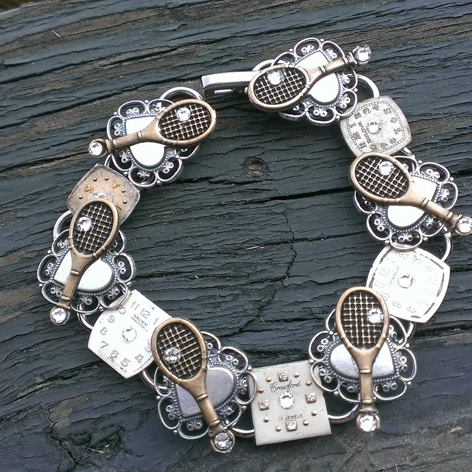 The Time for Tennis bracelet includes antique watch faces paired with hearts, tennis racket charms and Swarovski crystals You will LOVE it! Measures 7 1/4″.